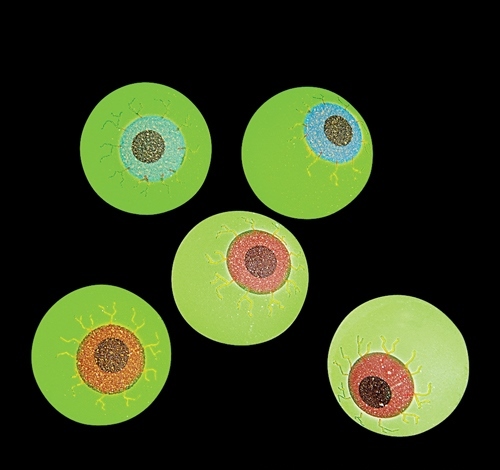 These hi-bounce eyeballs see all as they glow in the dark. Each ball measures 1.25 inches in diameter. Assortments may vary. Each dozen in polybag with printed header.